HARIBO has unveiled an even creamier, soft, smooth and squishy HARIBO Supermix! 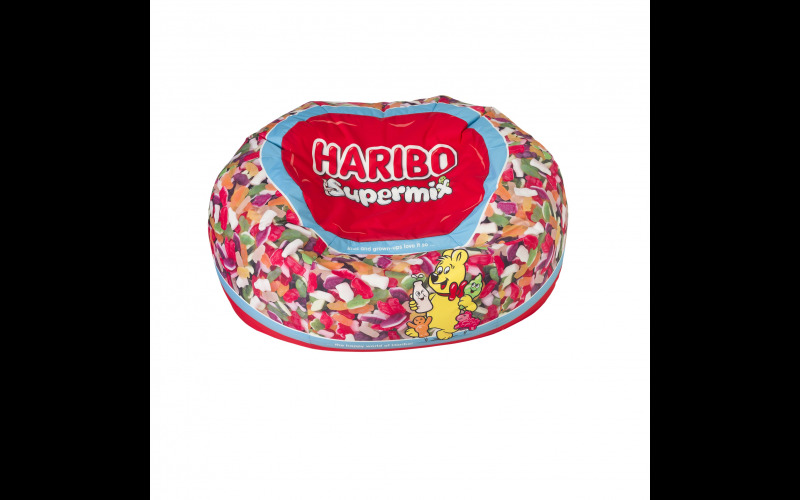 To celebrate the variety of comforting moments that come from eating the Jelly Men, Milk Bottle, Ice-Cream and Sheep pieces that are available in the mix, HARIBO is offering two lucky fans the chance to win their very own limited edition Supermix Snuggle Pod worth £250! Just like Supermix, the snuggle pod brings to life the comforting feelings that the new, creamier treats provide and offers the perfect opportunity for a #SupermixMoment of comfort. Supermix now boasts vibrant colours and creamier flavours; experience the new lemon meringue and peach flavoured Little Jelly Men and delicious vanilla in the Sheep and Ice-Cream treats. You can also enjoy popular raspberry, blackcurrant and apple flavours, in vibrant pink, purple and green colours.